Designers know that color is an extremely vital part of any design project and not a subject to be taken lightly. For better or for worse, it affects moods and elicits reactions.Color Design Workbook invites readers to explore color through the language of professionals. As part of the Workbook series, this book aims to present readers with the fundamentals of graphic design. It supplies tips regarding how to talk to clients about color and using color in presentations. Background information on color such as certain cultural meanings is also included. 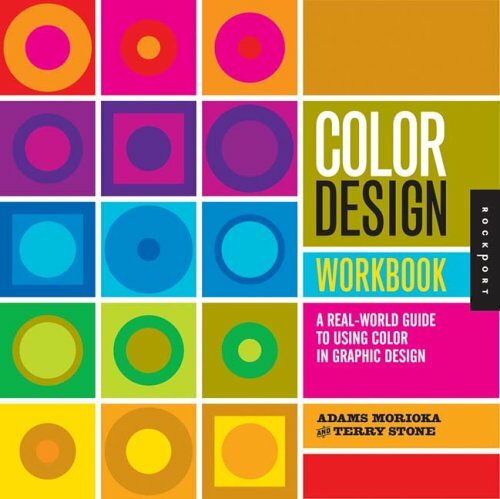 Color Design Workbook breaks down color theory into straightforward terms, eliminating unintelligible jargon and showcases the work of top designers and the brilliant and inspiring use of color in their design work.